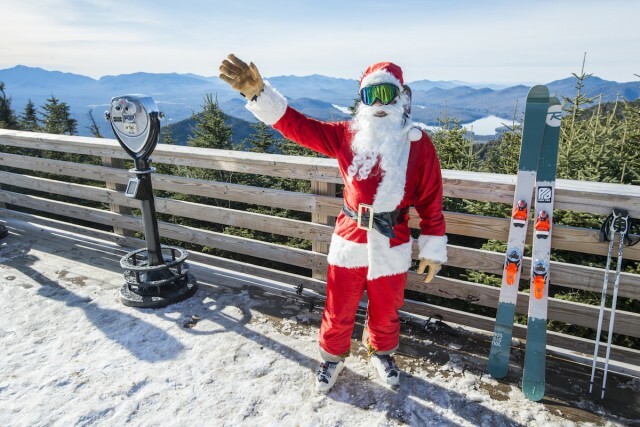 The holidays are upon us, and it’s always a party at Whiteface Mountain. The skiing is great and so is the après ski atmosphere! 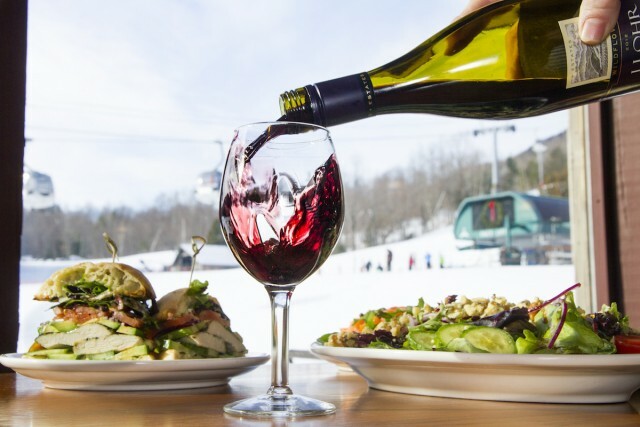 With several dining options and tons of fun things going on, it’s easy to kick back and relax after a day on the slopes. Whiteface has received several awards from Ski Magazine readers including #2 Ski Resort in the Eastern US, #1 in Offhill Activities 2017, Top 10 Apres Ski, Top 10 dining, Top 10 Scenery, Top 10 Terrain Challenge, and Top 10 Overall Satisfaction. None of these really surprised me, they just solidified my thought that Whiteface is an awesome place to party this winter! First of all, can we just talk about how great the skiing is at Whiteface Mountain?! Not only is the skiing great, but Whiteface Mountain is keeping it renewable! Last year the mountain was able to run off 100% renewable energy! In the last three years Whiteface has added 190 new low energy pole guns and 6 new fan guns giving them the ability to make more snow over a shorter period of time — which means more, better quality skiing for you! There are 87 trails for your skiing pleasure, ranging from beginner to expert, and the longest run comes in at 2.1 miles on the Wilmington Trail. Ski on my friends! The mountain has also added another groomer - making a total of ten - which also helps facilitate more efficient grooming and overall better snow quality management. 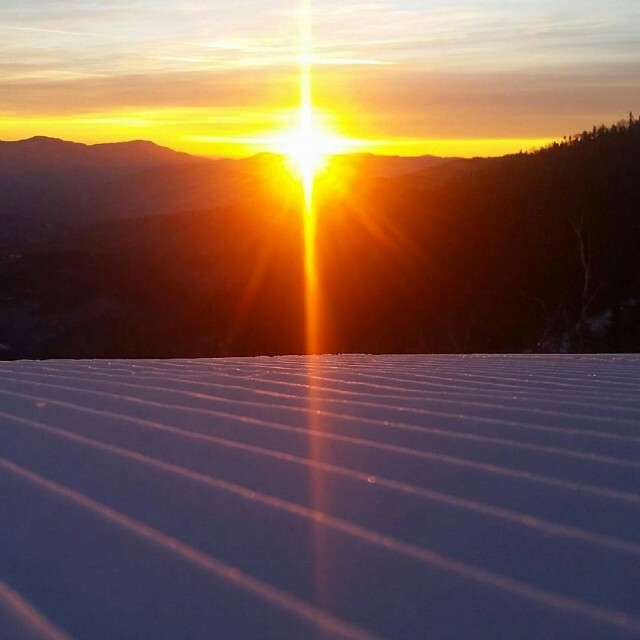 This will be sure to make for a better mountain day, and these cats work through the night hours to make sure you’ll be seeing better corduroy each morning! Now for my favorite part about any party and the holidays - the food, obviously! Whiteface has several dining choices, and two of which feature locally sourced products and a farm to table experience. The Taste NY Cafe in the newly constructed Solarium of the Whiteface Base Lodge features fresh, locally sourced products from New York state. The J. Lohr Vinyards & Wines Cafe & Wines Bar is dedicated to a true farm to table experience at the mountain. And don’t forget dessert! Of course, if you’re dedicated to spending as many hours as possible shredding fresh powder, there are some grab n’ go options too like Mid-Station Lodge, Black Bear Cafe, and the Base Camp Market. Don’t forget Whiteface Mountain’s infamous Bloody Mary! That’s right, I said Bloody Mary! Employee Colleen Blanchard, has been whipping up these tasty Bloody Marys for five years now. The secret, tasty recipe is mixed with pepper vodka and topped with a variety of garnishes like dilly beans, pickle, citrus, celery and olives for the perfect mary! 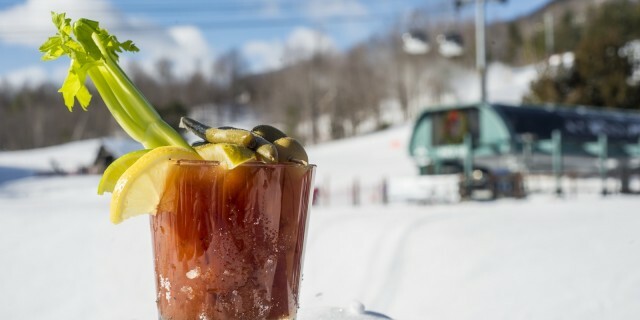 The Whiteface Mountain Bloody Mary is named Liftopia's 9 Ski Resort Bloody Marys To Try. Pretty impressive, right?! I might even try one this year…or two! Colleen says it is absolutely acceptable to "ride the pine ridge" all day while sipping the Whiteface specialty. Sign me up (because I’m not the greatest on skis!) cold brews, après ski fare, and the infamous Bloody Mary is the perfect recipe for an awesome day at Whiteface Mountain! Do you want to know what else says holiday party at the mountain?! Santa Claus skiing the face! Santas Ski Free Day will take place on December 11 this year, so anyone who dares dress up in a full on Santa costume skis or boards for FREE! That’s right, so dust off the old Kris Kringle suit and head to the mountain! Last year this was an extremely popular event, and I suspect this year there will see even more Santa’s carving the mountain! Whiteface Mountain is scheduled to open November 18 this year, weather permitting. Closing day is scheduled for April 9, 2017, but they may open early, and/or extend the closing date depending on the snow conditions this year! Whiteface continues to invest and improve each year, and it just keeps getting better and better. 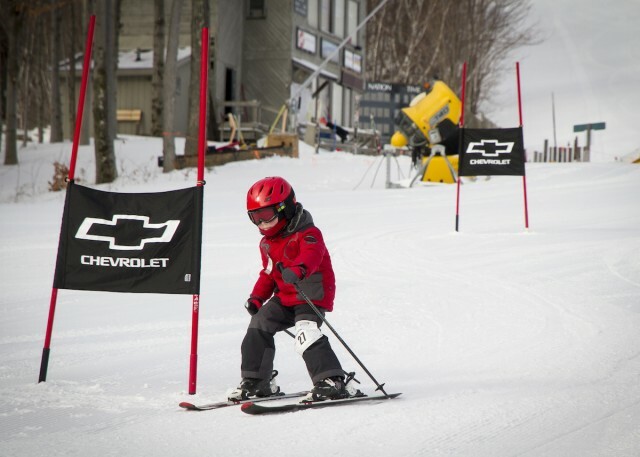 So pack your skis or boards, pack the family and head to the Whiteface Region for your winter getaway this year, and check out all of the fun at Whiteface Mountain!